Michael Hanley graduated from Cambridge University in law and was admitted as a solicitor in 1985. 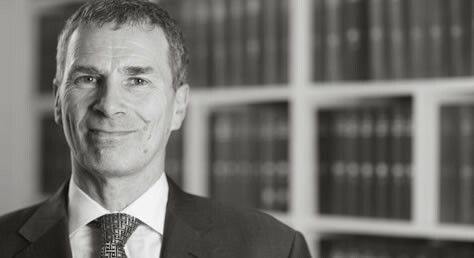 Michael has been a partner since 1990 and senior partner since 2001. He has a substantial private client caseload but continues to undertake some legal aid work. Michael’s clients are often individuals who have been caught out by the complexities of the immigration system and need help in resolving the problem. He is an individual member of the Immigration Law Practitioners Association. He has had the conduct of cutting-edge cases in the European Court of Human Rights and the House of Lords. He taught the Legal Practice Course Immigration for four years between 2001 and 2004 and has been an examiner with Central Law Training. He is currently an external examiner at Westminster University. He was a Legal Services Commission peer reviewer between 2004 and 2008. He is currently an Independent Costs Assessor and a consultant to the Office of the Immigration Services Commissioner. He has written items on immigration law for Lexis Nexis. He was appointed as a fee paid Judge in 2006 and regularly sits in the Immigration Chamber of the First Tier Tribunal. Michael commenced his career as a civil litigator and secured considerable compensation for clients injured in accidents. That wider civil background has been put to good use in bringing specialist claims against the home office for unlawful detention, wrongful prosecution and breach of privacy.